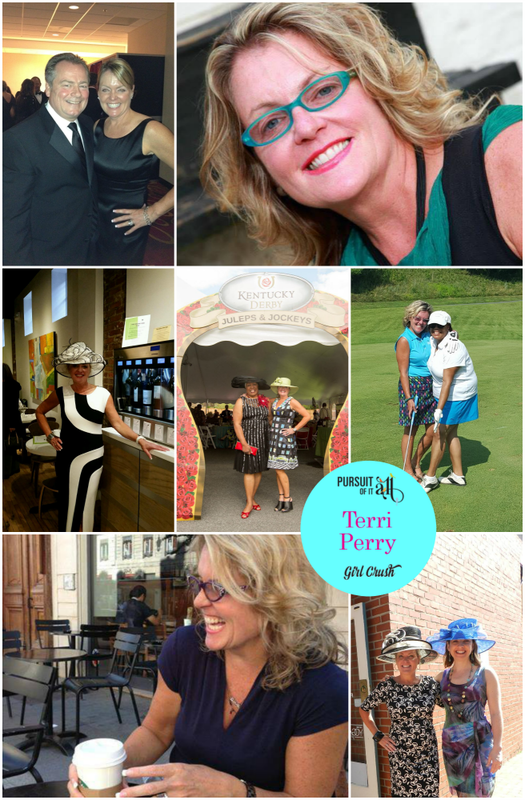 I can’t quite remember the first time I met the whirlwind that is Terri Perry. What I can tell you, however, is that my life has never been the same. Terri and I got to know each other well as part of the 2015 Leadership Frederick County class. She is hands down the most vivacious and energetic woman I know. Believe me when I tell you that her superpower is happiness. A dedicated community advocate, Terri truly loves the county she lives and works in! 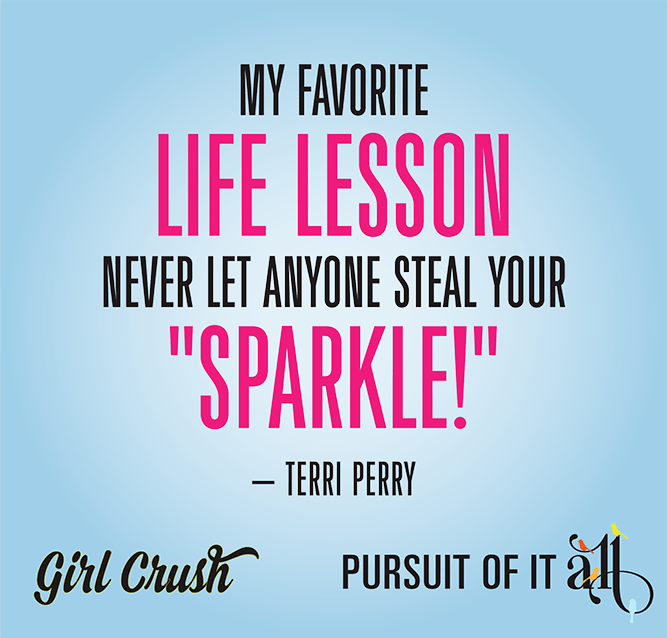 Read on to find out why we asked Terri to be our newest Girl Crush. I’m the Relationship Cultivator for United Way of Frederick; my first day on the job was September 11, 2012. I love that the work I do really makes a difference in the Frederick community! My mantra in life right now is to love everyone while they are still here because tomorrow you may not get that chance. I also have a “passion for fashion” that started in high school — I was voted best dressed of my senior class! I always view my role models as extended family, and I credit these wonderful people for their wisdom, guidance and love. My parents taught me the value of a strong work ethic and to always take care of your people. They also taught me that a smile can light up a room and to remember that you can lose your looks but never your personality. I consider my good friends (who know me better than my family) to always be role models, not to mention Robert Moon and Bob Hammack who exposed me to the fine arts of Washington D.C., and then the world! Georgia Trusio taught me the value of mentoring, which can’t be found in a textbook! There have also been countless people and angels (you know who you are) who have crossed my path along the way and taught me life lessons. I would not be me if it weren’t for these valuable players in my world. Every day I get to see what a difference one person can make in another person’s life. I believe that each day is a priceless gift that you get to open. I find my greatest fulfillment in making people laugh. (Especially when they have had a bad day.) I get a lot of satisfaction in mentoring others as well. I love being a mentor to the students who walk through our doors, and introducing them to the leaders of Frederick. I try to make sure they leave with valuable skills that they can use later on in there careers. Travel! Looking forward to traveling Cuba, the Coast of Del Sol, and basically all points WEST! My car! There is something about being on the road that sparks my creative juices! And if that happens to be riding with the top down and jamming to Bruce Springsteen – watch out! Bill Perry and Rob & Bob! My Amex card. Can’t leave home without it and I have been a member since 1985! Lipstick, The Temple (my hair looks way better when they blow it out! ), dry shampoo and heels!